On one of those random scans through Kamal Haasan’s Virumaandi (2004), I was curiously captivated by the following short conversation that takes place between Sub-jailor Peikaaman (played by Shanmugharajan) and Dr.Angela Kathamuthu (Rohini), just before Virumaandi (Kamal Haasan) is brought for the interview, approximately 58 minutes into the movie. பேய்க்காமன்: மேடத்துக்கு தஞ்சாவூர்னு கேள்விப்பட்டேன் .. ப்ராப்பர் டேன்ஜூர்ங்கலா ? With respect to Keezhvenmani, the film’s context doesn’t offer anything beyond this conversation, but the term per se, holds a lot of socio-cultural implications. 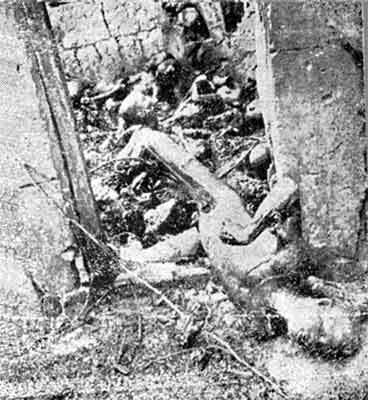 Keezhvenmani, a village in Nagapattinam district in Tamilnadu, shot to the national limelight (25th December, 1968), when about 44 dalits were burnt alive locked in a hut, in a wage dispute between the landlords and peasants. Keezhvenmani massacre, one of the most horrendous genocides in the post-independent India and a national shame, was not covered in all diligence in the mainstream media and the then Annadurai government is accused of blacking the issue out. The representation of Keezhvenmani massacre in popular culture – cinema, novels etc is also considered inadequate and dishonest. A couple of important novels (Kuruthipunal and Sennel) were written on the subject and Indira Parthasarathy’s Kuruthipunal won the Sahitya Academy too. If someone has to look through the annals of tamil cinema on representations of the Keezhvenmani massacre, we might end up with Aravindan (1997) and Nellu (2010). Both the above movies were not even quoting the name of the village and hence end up as dummy portrayals. Aravindan made a joke out of it, depicting the whole thing in the first 15 minutes and went ahead with Sarath kumar heroisms. As I see it, only Kamal Haasan was bold enough to atleast quote the name of the village – Keezhvenmani, in Virumaandi (2004). Disregarding the representations in cinema and novels, the Keezhvenmani uprising is a social churning representing dalit assertion towards social justice. It’s a symbol of the struggle against social, cultural, economic and all possible forms of oppression and exploitation and that is what is being constructed as a part of Angela’s character in Virumaandi (in the form of an intelligent and independent woman). Angela later recounts how she became Angela James and then Angela Kathamuthu again, to Virumaandi and this will suggest that she was exploited as a woman (domestic violence probably) in her marriage. Or, it can all be too simple ... Angela wields her dalit identity with pride and a self-assured aggression. Likewise, Thirumangalam (Madurai district) made it to the political glossary after the assembly by-elections in 2009. Infamously referred to as the “Thirumangalam formula” patented by DMK’s M.K.Azhagiri, Thirumangalam henceforth might be used as the symbol of money-power in “buying” out votes. I think the mainstream media, including Jaya TV has already used the phrase “Thirumangalam formula” (the whole Jananayagam and Pananayagam discourse) during the 2011 assembly polls propaganda. We can probably come up with various other expressions like the above – the name of a place being suggestive of something else in the popular culture - like Auschwitz (holocaust, concentration camps etc), the former USSR (Communism), the Tajmahal (love), Tihar, Mecca etc. The USSR-Tajmahal reference is obviously from Kamal’s Anbe Sivam. Super lugo.. nalla padatha uuthu paakardoda ada pathi nalla research um pannara.. good job..
Was watching Virumadi now, this scene that you referred hit me. Even though I had watched this many times, I didn't catch name Keezhvenmani. Once she tells the name of the place, the reaction of Paikamman is spontaneous- He just walks away without uttering any word. More over her reply "..proper elle.. Keezivenmani", this dialogue has two meanings one factual, as it is not proper Tanjavur town and other meaning is emotional - " Proper elle Keezivenmai"